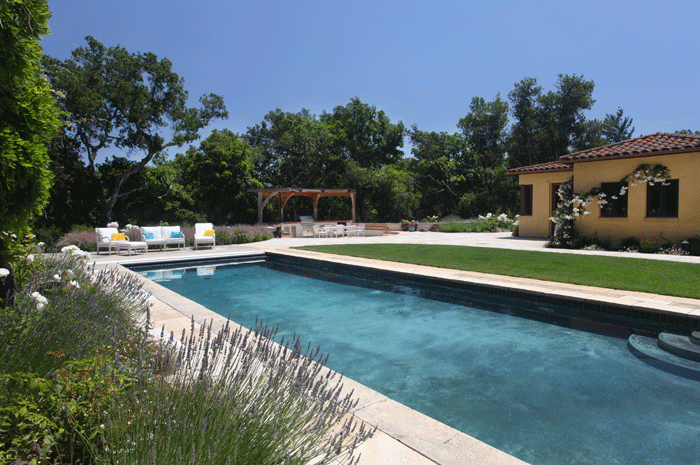 Did you know that the majority of Californians, regardless of location, overwater their landscapes by more than 50%? That translates to about a quarter of the water bill that you pay every month during the growing season that is wasted water applied to your landscape! The typical response and reaction to this is to turn off the irrigation system until property owners feel their plants need water. Or they water by hand. These are both time consuming and inefficient ways to solve the problem. Instead of worrying about it, let Gardenworks Inc. Water Management handle all your irrigation scheduling needs. 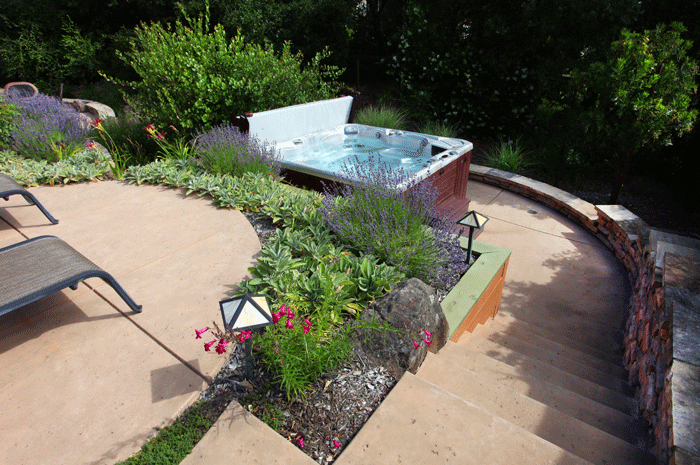 We offer standout landscaping services in Sonoma County. Water is a precious commodity that’s limited in availability and expensive. Don’t let your irrigation system waste our precious water and your money. 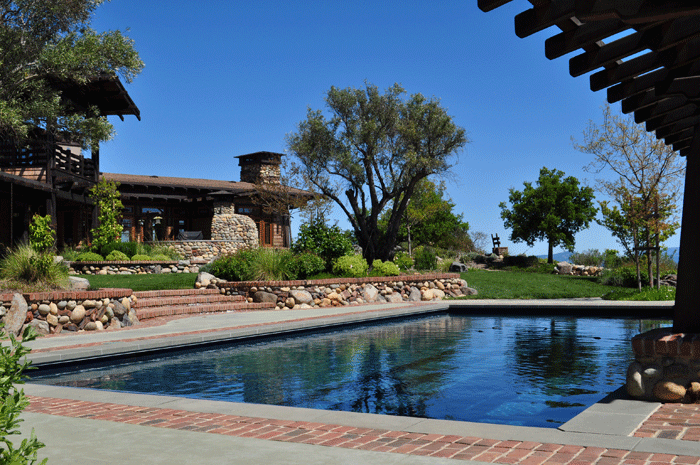 Take control and call Gardenworks Inc. Water Management today. 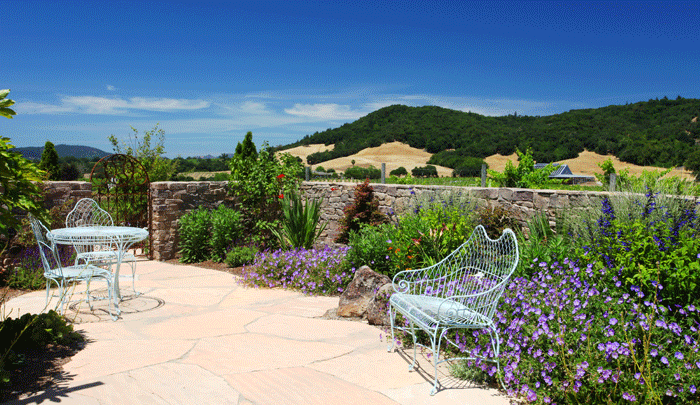 Deploy our leading-class landscaping services in your Sonoma County property. By creating a partnership with you, we will make sure your satisfaction is met on any project due to the high expectations we hold for lasting quality and customer service. 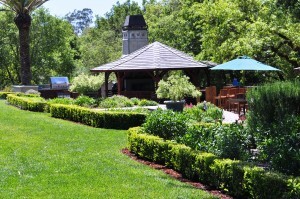 What are the Benefits of Our Landscaping? When selling a home, many owners attempt different strategies to raise the value and “look” of their home and property for a “quick” sale. Redecorating, painting, general sprucing up all happen to entice prospective buyers to present an offer. 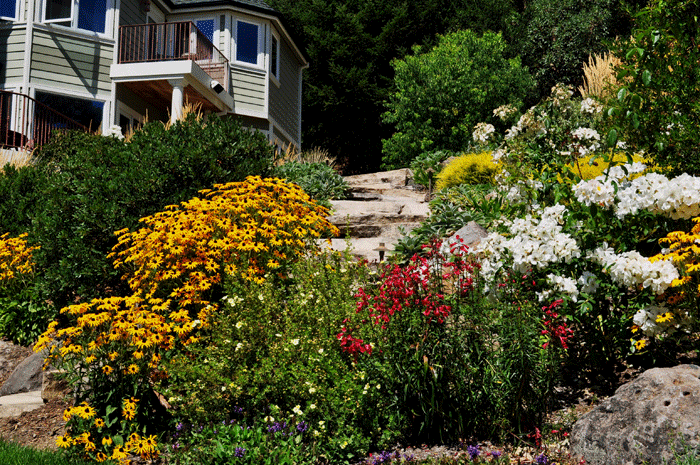 But research shows that the most effective way to enhance a home’s “curb appeal” is through landscaping. According to the American Association of Nurserymen, a properly installed landscape can reach upwards of 15% added value to a home and property. 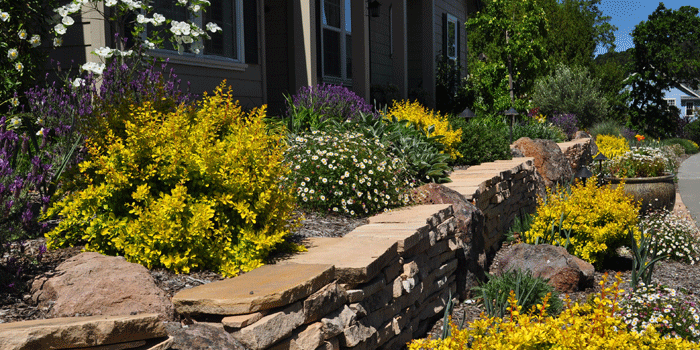 Money Magazine conducted some research and found that landscaping has a 100-200% recovery value at sale time. This is compared to 75-125% recovery with Kitchen remodeling, 20-120% for bathrooms and 20-50% for swimming pools. Because the exterior of the home is what perspective buyers see first – a good first impression is a must. 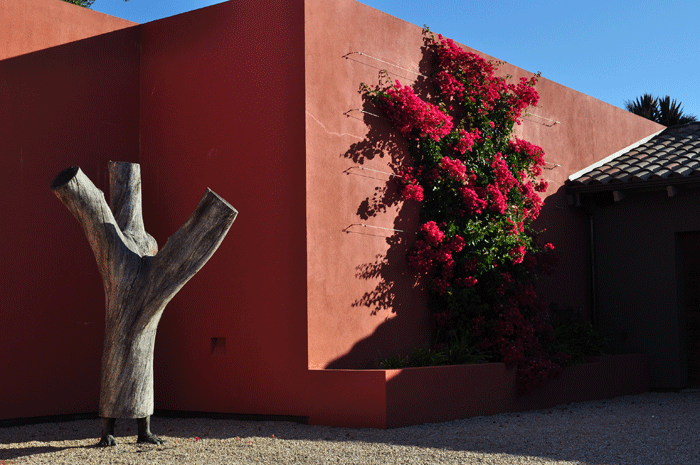 A well-designed, finely crafted landscape contributes greatly to curb appeal and invites buyers inside. Real estate agents and appraisers judge the quality of landscaping on its overall appearance, condition and maintenance. They compare homes to be sold with all other homes in the immediate area. They often look at the functional use of landscape items as selling points. But it is image that sells it all. As we continue to hear more and more about the current energy crisis in the media, you have probably contemplated one time or another what you can do to battle the crunch. 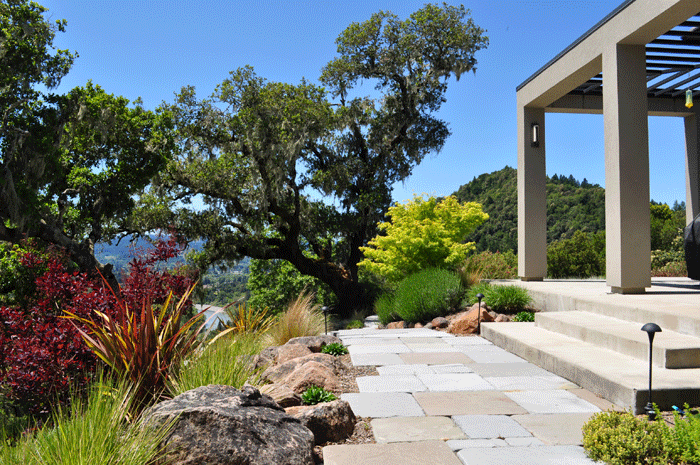 One way to avoid rising energy costs is to rearrange your landscaping in a way that limits electricity use. According to energyhog.com, one option is to plant trees around your home that lose their leaves in the wintertime. This offers a two-fold perk in reducing energy costs by protecting your home from the summer sun and allowing sunlight to warm it in the winter. On those cold days, winds that penetrate your home are responsible for up to one-half of your total heat loss. Planting bushes and trees in your yard have the capacity to limit cold winds from reaching the home, while preventing you from turning up the heat. Lastly, you also have the ability of reducing your yearly energy bills by shading the AC unit with trees that we have planted. In 2005, the average household spent almost $1,900 on home energy bills. 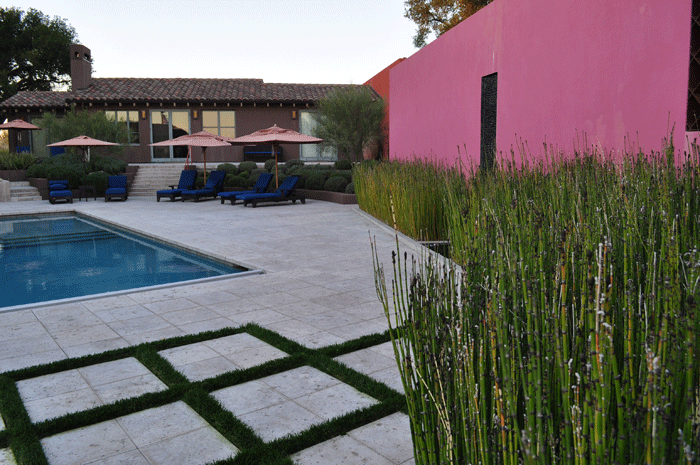 By letting us design and build your landscape you have the chance of saving anywhere between $100-$250 a year.